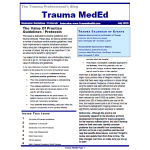 In my last post, I discussed the only paper I could find on the lateral trauma position (LTP). It was a survey that was taken 5 years after implementation of this transport position in Norway. Is there anything else out there that may help give us guidance on proper positioning during transport? Just this month, a paper was published that tries to look at this issue from a different viewpoint. Since we can’t really show that the LTP is good or prove that it is truly safe, can we at least demonstrate that supine positioning might be bad? A very diverse group of researchers in Norway performed a systematic literature review and meta-analysis of everything they could find published on supine positioning and airway patency in unconscious trauma patients, especially when compared to lateral positioning. This was carried out from the beginning of time, or 1959 in this case. There weren’t really any good studies using this global search, so they broadened it to include trauma patients with decreased level of consciousness. Oops! There weren’t any studies using this broader definition, either. The authors wanted to use morbidity and mortality as their outcomes. But, there weren’t any good studies for this either so the decided to use indirect outcomes such as hypoxia, hypercapnea, hypoventilation, work of breathing, and a bunch of other stuff. Oops again! There weren’t any studies reporting these indirect outcomes. A number of these papers showed soft results (language like ”indication of”, “small difference”). The only significant results were found in patients with known obstructive sleep apnea. 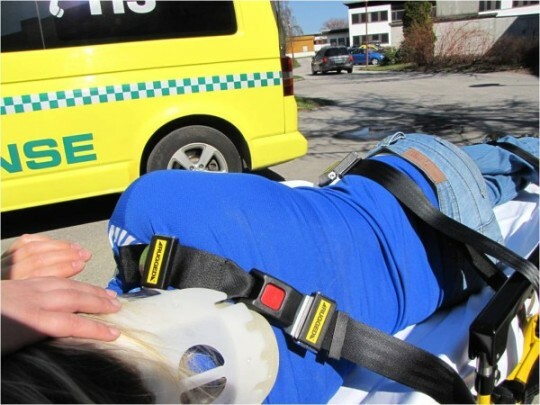 Bottom line: The use of the lateral trauma position is an intriguing concept, and has been used successfully in Norway for about 10 years. Intuitively, it makes sense, especially in obese patients or those with known obstructive sleep apnea. Unfortunately, this paper approached the questions asked kind of backwards, in my opinion. I believe that LTP has a place in prehospital care, but that there will be significant barriers to adoption in most countries. In order to overcome these hurdles, clear protocols and positioning instructions will need to be developed, as well as specific indications. And it wouldn’t hurt to do a few good studies along the way. The Norwegians have helped us with the ethics questions, as it is the standard of care in that country. 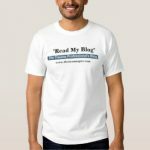 So write your local IRB and get busy! Reference: Is the supine position associated with loss of airway patency in unconscious trauma patients? A systematic review and meta-analysis. Scand J Trauma Resusc Emerg Med 23:50, July 1, 2015. Here’s a kick in the head, unless you are one of my Norwegian readers. In the US and many (most) other countries, trauma patients are routinely transported strapped down in the supine position. It’s tradition. It’s easy. It gives prehospital providers pretty good access for whatever they need to do. Individual ground provider opinions were a bit different. 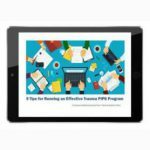 89% were familiar with LTP, but only 58% actually used it. Training seemed to be the key. Of ground providers given training, 86% were confident in using LTP, but of those not given training, only 58% were. Only 53% of air services used LTP, and only one had a protocol. Bottom line: Interesting concept. Unfortunately there is little (or no) objective data to help us. The main thing available now is a 10 year experience with the lateral trauma position in Norway, and I have not seen any analyses of it. In my next post, I’ll review a meta-analysis published this year that does try to compare LTP vs supine positioning. How long to patients need to be on a backboard? 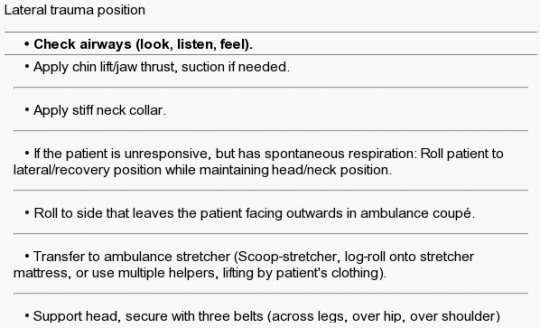 Reference: The lateral trauma position: what do we know about it and how do we use it? A cross-sectional survey of all Norwegian emergency medical services. Scand J Trauma 19:45, 2011. I’ve written several times on the importance of getting patients off the backboard promptly in the ED, but the topic keeps coming up! Many hospitals use slide boards to facilitate patient movement on and off the ED cart when undergoing imaging studies. How should we manage the use of this device? There is no difference between a backboard and a slide board to the patient. It’s hard and uncomfortable to lie on for any period of time, and can cause soft tissue injury. To trauma professionals in the ED it is thinner, less bulky, easier to manipulate, and does not interfere with xrays as much. We tend to pay less attention to it than a backboard. Although it does not immobilize the spine as well as a backboard does, the difference is not clinically significant (in a cooperative patient). Remember, if your patient actually has a spine fracture, they will be placed on logroll precautions on a soft mattress only somewhere in your hospital! No stiff boards of any kind! Slide boards are for blunt trauma only! Patients with penetrating injury may need an upright chest xray in the ED and the board won’t flex enough. Insert the slide board in any patient who will be getting several diagnostic studies. For trauma activation patients, this can occur as you roll them off the backboard. Plan an efficient road trip through diagnostic studies for your patient. This allows you to minimize time on the board. Repeated logrolls onto and off of the slide board are discouraged. Every roll is an opportunity for mishap. I’ve written several times on the importance of getting patients off the backboard promptly in the ED. Many hospitals use slide boards to facilitate patient movement on and off the ED cart when undergoing imaging studies. How should we manage the use of this device? Ten months ago I wrote about getting patients off backboards as soon as possible. The question has arisen again, so I did a little digging to find some good science behind this. And I found it. This problem has been looked at three ways. From best to worst they are: studies on OR patients who developed pressure ulcers postop, studies on animals, and studies on tissues. I’ll focus on the first because a real person who is chemically and physically restrained to an OR table is very similar to one who has been fastened to a backboard. The most cited study (retrospective, of course) showed that patients who had tissue pressure over bony prominences that exceeded their diastolic pressure developed pressure ulcers within 6 hours, and even faster with higher tissue pressures. But even better prospective OR studies have been done, and these showed that ulcers could occur in as little as three hours. Keep in mind that these studies involved patients in whom real efforts were made to pad bony prominences and actively avoid tissue injuries. Yet they still occurred. Contrast this with a patient who is strapped to a hard backboard in your ED, with little ability to adjust their position to improve circulation. Bottom line: Get your patients off that backboard ASAP! I recommend sliding it out when they are logrolled to examine the back. The board is of little or no benefit to spine stability in a cooperative patient. And we have ways of encouraging cooperation if they are not. Reference: How Much Time Does it Take to Get a Pressure Ulcer? Integrated Evidence from Human, Animal, and In Vitro Studies. Ostomy Wound Management. 54(10):26-8, 30-5, 2008.